Home is where the heart is – Reflections on Mother’s Day Weekend! As I sat in studio at Darlington Raceway Saturday and cut up with NASCAR’s famous moms on my annual “Dialed In” Mother’s Day broadcast special on SiriusXM NASCAR Radio I felt a little homesick in my heart as I wasn’t able to be with my mom on this Mother’s Day weekend. It was my mother’s birthday and it was Mother’s Day so, while interviewing the most famous moms in our sport behind the microphone, I was thinking about my own brave, smart, wonderful and talented mother. My grandmother, who lived to be almost 100 and has since passed, was way ahead of her time and, along with my mother, is another woman I greatly admire. I’d give anything if my grandmother could have been around to talk to today. Together, my grandmother and mother instilled in me a spirit that has enabled me to open a door wide open for the women who followed. These two women, by being willing to use their lives to raise children who would carry their dreams into another generation and accomplish things that they could never have dreamed of in their era, paved the way through me. The unselfishness of that is overwhelmingly kind and loving to me. This is my mother (left) holding a flower from her garden, which is a work of art! Beautiful, the flower and her! I thank my mother often for naming me Claire. I treasure having a unique name that was picked especially for me. What a gift that she took extra time when she was so busy with my sister, who was just a toddler when I was born, to give me the kind of name that I could make a mark with later in life. She must have been very smart to know it was an important task and she must have seen in me, before I even came into this world, all the things that I could do with that name. The thought of that gift alone is humbling to me and I think of it often when I sign off using my name on the radio. The credit, I always feel, should be hers. My mother pushed me out of the nest and made me fly. When I graduated from college I sent tapes out for radio jobs and almost immediately got one in Iowa. I won’t lie to you, I was not brave and I was not ready for the world on my own and I for sure did not want to leave and go to Iowa. I could not imagine leaving my boyfriend and my friends and moving alone to Iowa to co- anchor a morning show. I was young and I was afraid. I had no earthly idea that women at the time were not on the air in radio. My mother would not hear of me turning the opportunity down and almost kicked me out to go see the world. I cried a whole lot and it was the hardest thing that I ever did. How immature! Thank goodness for my mom or I might have missed so much and may never have been a part of the world that I cover today. Somehow, she knew that I had the raw talent (although not the bravery or the independent soul) and that I needed to use it. My mother didn’t want me to miss what adventure and opportunity that she knew was out there for me. I didn’t see it myself but she did and, somehow, she knew that I could handle it. Now, when I’m driving through Vegas, or leaving the LA Airport on my way to a track or driving up the Pocono Mountains in the dark of night, I call my mom and tell her thanks. We laugh about me having been the least independent of the children in the family, the least likely as a child to be the one who moved far away from Wisconsin and the one you’d never guess as a sensitive child would be the one traveling to these places and driving in the big city alone. I don’t know how to possibly thank my mom enough. She’s an incredibly smart and talented woman – an artist, a brilliant mind, a skilled tailor following in the steps of my great, great grandmother who brought the first sewing machine from Germany to Wisconsin. If given the chances my era had I’m quite sure my mother would have been a doctor. It’s so noble of a profession to have been a mother, to have been tough enough to give birth to and raise a child and then kick the bird out of the nest only to watch her fly. I hope that not only in my public life but in my private life that I never take what she gave me for granted and that I do her proud. Grandma Mamie and the Harley Davidson! Amazing Woman! My grandmother Mamie had a personality that drew everyone to her. She was spunky, but a real lady. She married later in life for the standards of the day – when her mother told her either to marry her long-standing boyfriend Ferd or let him go. She was a little woman and my grandfather built her a special kitchen so that she could work in it easily and he adored her. 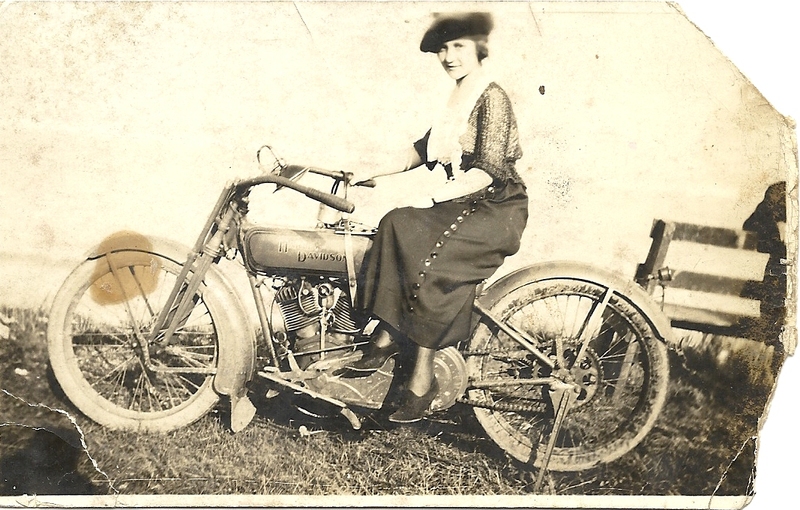 When I got the first Harley Davidson in our family, or so I thought, I found out later that my grandmother Mamie hid a Harley Davidson in the barn that her parents did not know was there. I adored my grandmother, who always made me feel special, and I miss her. Several years before she died I interviewed her and have the interview on CD so that her story, in her own words, can be passed on and remembered. I spent one whole day years ago going through the antique photos that she passed along to me, her wedding picture and the wedding pictures of her mother and my grandfather’s mother. Mamie was spirited, and full of life and was the kind of person you wanted to hang out with over a cup of coffee. She always had the pot on and she always had people from the neighborhood dropping in to sit a spell and just chat. She made everyone feel special and welcome. On this Mother’s Day weekend I thought of something that I read one day that your mother stops so that her children can move forward. She is your first best friend, and the one who gives you life and helps you learn what to do with it. My grandmother gave me unconditional love. She could have had a hundred grandchildren and she’d find a way to make you feel as if she understood you just a little bit more than the others. She found every single special talent and sensitive spot that you thought no one would ever notice that you had inside and understood it. My mother gave me strength, and intelligence and the bravery that I didn’t know that I had and my grandmother gave me a piece of her personality and an understanding of my creative side. Together they gave me all that I needed and more to make it this far and beyond in the world! The rest was up to me. Mom, I love you, Happy Mother’s Day! 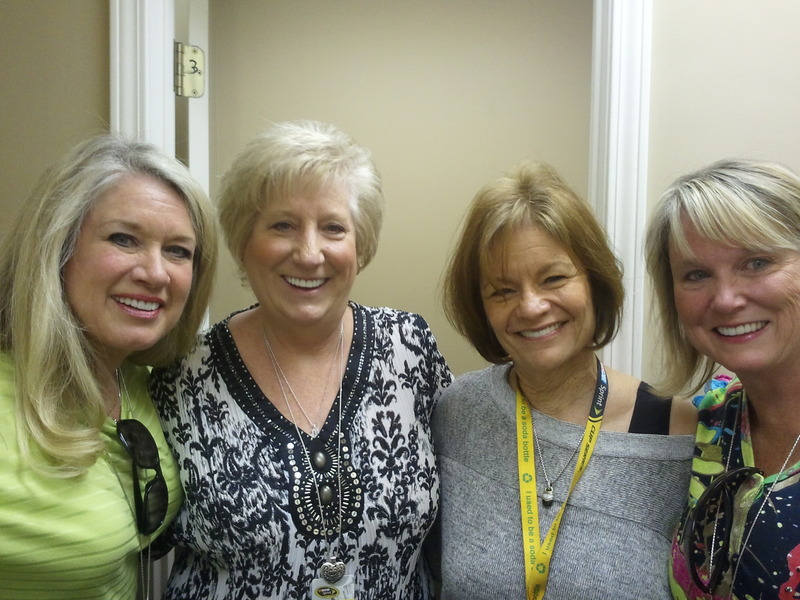 Co-Host Carol Bickford and the NASCAR Driver Moms Rock in Studio! 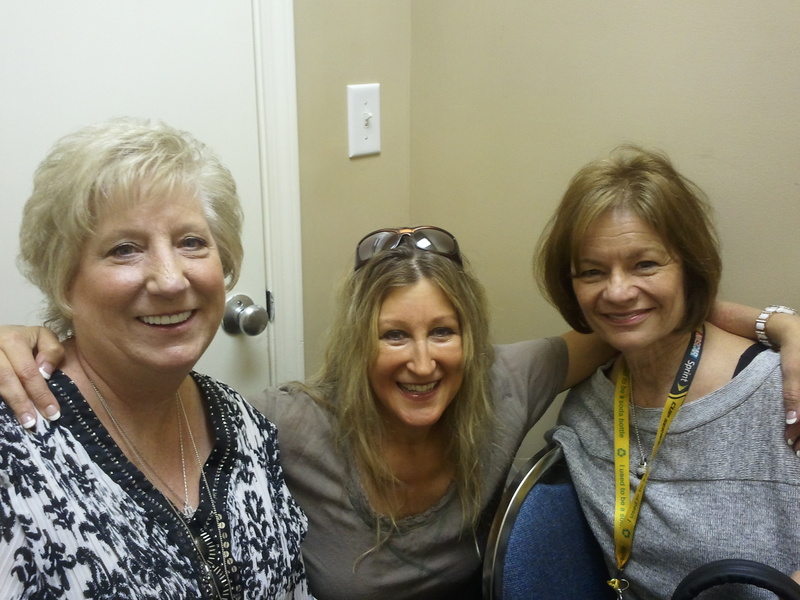 (Left to right) Gaye Busch, Tammy Kahne, Carol Bickford! Amazing women on the radio! I want to thank Carol Bickford (mom of Jeff Gordon), Mary Lou Hamlin (Denny Hamlin’s mom), Gaye Busch (Kurt and Kyle’s mom, Pam Boas (Tony Stewart’s mom) Nancy Sterling (Carl Edwards mom), Tammy Kahne (Kasey Kahne’s mom), Meredith Bowman (Jeff and Ward Burton’s mom, Kay Keselowski (Brad Keselowski’s mom) and the rest of the moms who joined me for my annual SiriusXM NASCAR Radio Mother’s Day Special. Carol Bickford is so much fun, so kind and easy to work with and each and every one of the moms who join me each year make this one of my favorite shows of the broadcast season! Above, are some of the pictures from the broadcast! It’s easy to see how these drivers made it into the top level of their profession with the love and support of mothers like them! Mother’s Day is now a memory and it’s off to the All-Star Race but neither I nor the drivers take for granted that we have the support of our moms, not just on Mother’s Day but forever! Hope your Mother’s Day was special too!